Sydney, Australia’s biggest city, is chock full of awesome activities to do with kids of all ages. From the beaches to the city to the water-play parks to the kid-friendly cafes, we had a very difficult time narrowing the list down to a mere 10 things! 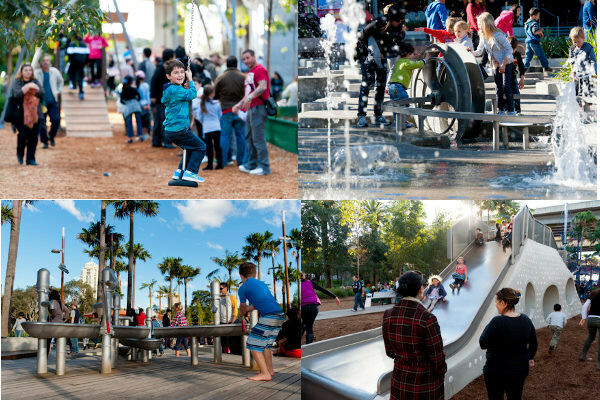 So whether you are a Sydney local or planning on visiting with your little ones in tow, be sure to pin this page for some great day out ideas. If there is one thing that Sydney is known for, it’s her amazing beaches. Beyond the world famous Bondi and Manly, there are a host of kid-friendly spots for a day out with little ones. Head south to Shelly Beach at Cronulla, and you’ll see why this is a local favourite with young families. With grass almost the whole way to the calm tidal rock pool, a sandy entrance so toddlers can play in ankle deep water, a flat rock outcrop for exploring the rock pools, an amazing playground, BBQ facilities and great coffee from The Nuns Pool Cafe across the road, Shelly Beach and Park is worth the trip. 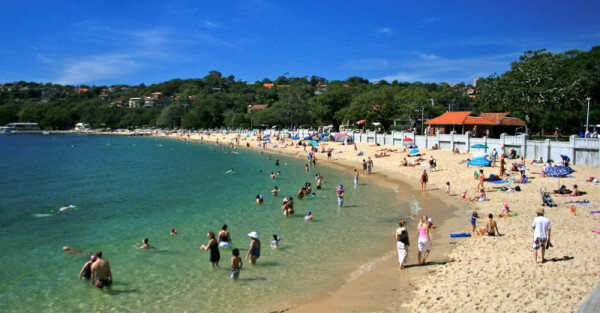 And while the surf beaches are beautiful, Sydney Harbour is also a treasure trove of family-friendly, gorgeous beaches. On the north side of the Harbour, Clontarf Reserve and Balmoral Beach both offer beautiful parklands and sandy shores with wave-free beaches. Both have playgrounds, should the kids tire of swimming and sandcastles, and both have places to buy food, with the Clonny Kiosk at Clontarf and a number of cafes at Balmoral. South side, Parsley Bay Reserve and Watson’s Bay both make for a great day out, with fish ‘n’ chips from Doyle’s on the Wharf at Watson’s Bay sure to please the kids. 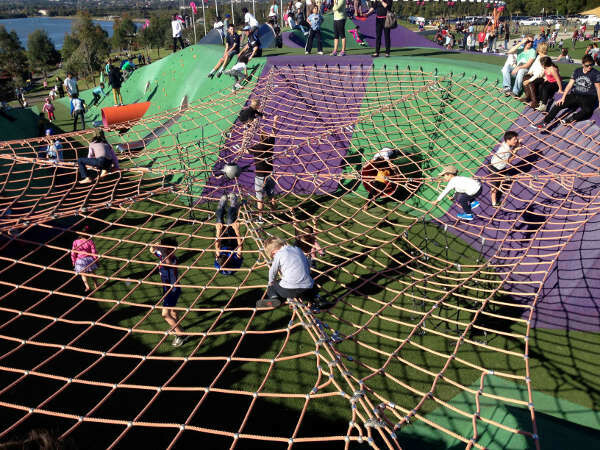 We told you about Blaxland Riverside Park a few years ago, and it is now a mecca for families, with activities for everyone. Along with the biggest playground in Sydney – covering three massive hectares of water play, climbing walls, slides that tunnel through rolling hills and swings of a whole bunch of different shapes and sizes; there is a cafe, bike track and bike hire (with kids’ bikes and bikes with toddler seats and trailer options available), BBQs and picnic area and even an art gallery open on weekends. Get there early, as the parking fills up quickly, especially on weekends and public holidays. Next on the list is a weekday activity that inner Westies have known about for years. 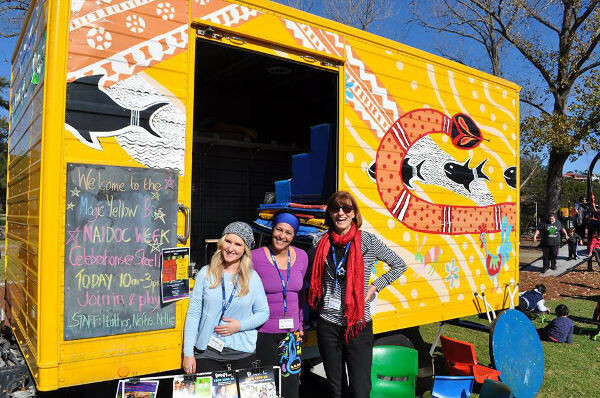 Marrickville council run an amazing free mobile playgroup called the Magic Yellow Bus in a different inner West park each weekday when the weather is fine. Outdoor toys, reading nooks, craft and face-painting keep the kids entertained, and give carers a chance to chat. Equally tremendous for sleep deprived parents of youngsters is the ready availability of coffee and treats from local cafes next to the parks. Petty Cash Cafe, next to Enmore Park, and The Pig and Pastry next to Petersham Park are happy to serve you lunch on a picnic rug; Sideways Cafe next to Johnson Park in Dulwich Hill has a wealth of high chairs, should you choose to take morning tea inside; for a sneaky treat with your play time, Adora Cafe Earlwood next to Steel Park in Marrickville make the most delicious chocolates by hand (be sure to hide them from the kids! 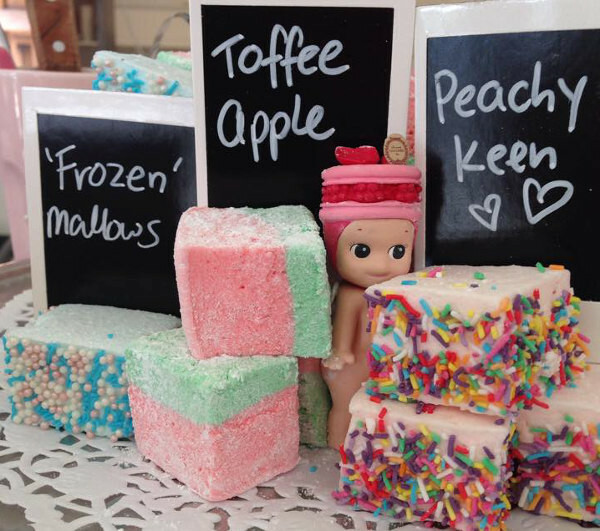 ); The Innocent Kitchen opposite Tillman Park has divine handmade marshmallows and try Black Star Pastry near Camperdown Memorial Rest Park for award winning pastries to accompany your coffee. One of the awesome things for kids to come out of the last few years has to be the proliferation of water play parks. Sydney has ever increasing numbers of them and the best is in the Darling Quarter precinct of Darling Harbour. Should the weather be a bit too nippy, or if you arrive without spare clothes for the kids, the playground is pretty amazing as well. The Darling Quarter also houses the Monkey Baa Theatre, with shows just for kids. If all the playing makes you hungry, the Darling Quarter is just a short stroll from Chinatown’s Dixon street where you can sate your appetite with Yum Cha then watch your ‘scientific’ gelato made on site (with staff in lab-coats!) 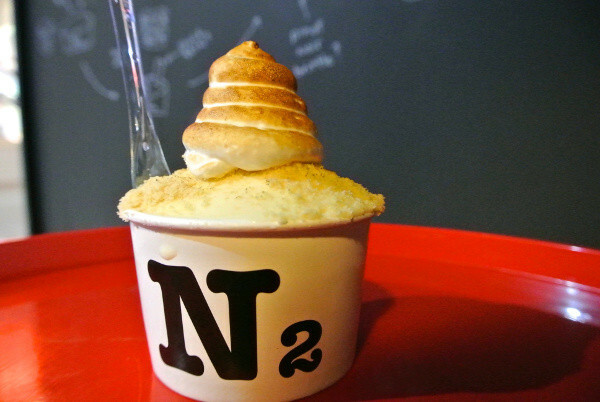 and chilled with liquid nitrogen from the N2 Gelato bar. If your children are a little older, a trip to the newly refurbished Blacktown drive-in may be in order. Bundle the kids into the car with the camping chairs, blankets and sugary treats for a night of old-fashioned entertainment under the stars. Renamed the Skyline Drive In, the drive-in boasts the latest digital cinema technology and an upgraded sound system as well as a 50s style diner. If you decide to head to Skyline in the winter months, be sure to rug up, as the Blacktown evenings can be chilly. Kids love to eat out at cafes, but lets face it, their patience for sitting still lasts about as long as the babycino, and then we are left to entertain them with the sugar sachets or get our coffee and lunch to go. Fortunately, Sydney offers some great kid-friendly cafe options. One of the most unique, and popular, is The Grounds of Alexandria. 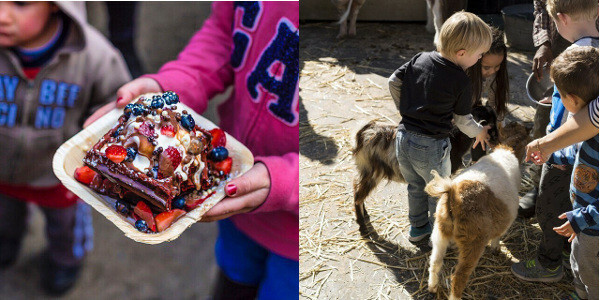 A huge, sprawling courtyard, complete with playground, water features and cute farm animals (Kevin Bacon the pig and the baby goats are always a favourite) as well as a a choice of food and great coffee makes the Grounds of Alexandria a perennial favourite with families and mothers groups. Even the tricky parking issues have been sorted, with onsite two hour parking and a valet service. If you have a budding artist in your midst, the Museum of Contemporary Art run ‘Art Play‘ classes on Wednesday mornings between 10am and midday. Your little artist will have the chance to explore an interactive artwork, do dress ups, sing songs, play art games and listen to stories. The MCA request a $5 donation per family. You can finish the morning with a picnic lunch at Circular Quay watching the ferries come and go. For older artists, there really is no place in Sydney like Reverse Garbage in Marrickville. 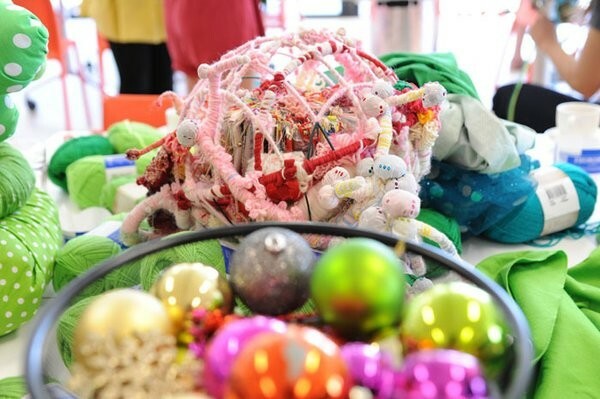 Built with sustainability in mind, Reverse Garbage sells a vast variety of preloved goods, from one-off pieces of furniture to bulk-buy buttons. 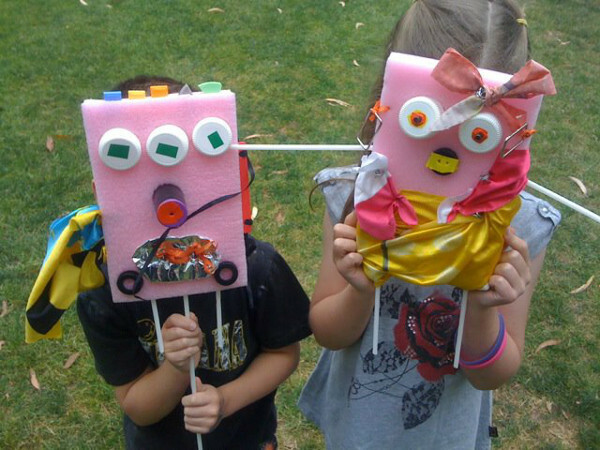 They also run craft and sustainability workshops for kids. The Royal Botanic Gardens is an oasis in the city, and makes an ideal day out for any nature-loving tot. What’s more, the Royal Botanic Gardens and Domain Trust run a playgroup each week during term time! 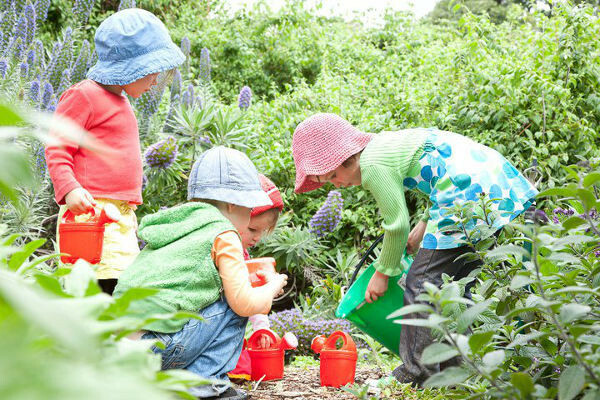 The Dandy Lions at the Botanic Gardens offers a morning of storytelling, gardening, craft and play based on garden themes on Tuesdays and Thursdays from 10:15 and needs to be booked in advance. You can choose a casual visit for $18 a family or pay for a full term of fun for $165 for a family of two children. 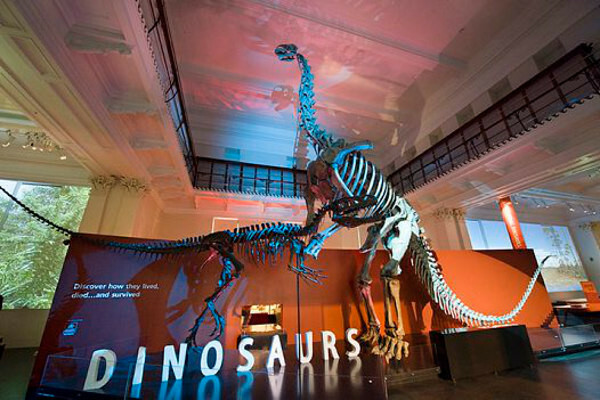 Museums make great rainy day outings for kids, and two of Sydney’s favourites, the Australian Museum and the Powerhouse Museum now offer free general entry for kids. Both the Australian Museum and the Powerhouse Museum have great exhibitions and activities for kids, so families can easily spend a good few hours there without breaking the bank. Kidspace at the Australian Museum encourages inquisitive young minds with loads of hands-on displays, and even has pram parking and a crawling-baby friendly area, while the Powerhouse Museum’s Wiggles exhibition is bound to be a hit. Of course one of the best ways to explore a city is by public transport. If you commute daily to work, you may be dubious about how this can be a ‘fun’ thing to do, but the joy little kids have in travelling by bus, train and ferry is infectious. Every Sunday, Transport NSW has Family Funday Sunday where, for $2.50 per person, your family can enjoy unlimited travel all day Sunday in Sydney, Newcastle, the Blue Mountains, the Central Coast, Hunter and Illawarra areas, by train, bus, ferry and light rail. 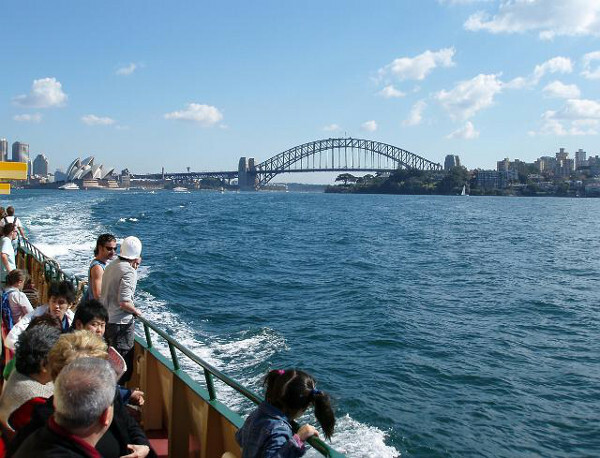 That is a cheap way to entertain the kids, and given the cost of some toll roads, a very affordable way to reach some of the great attractions Sydney and surrounds has to offer.